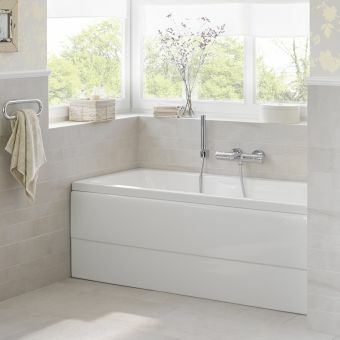 Modelled with European style in mind, the Carron Mistral bath adds elegance and flair. 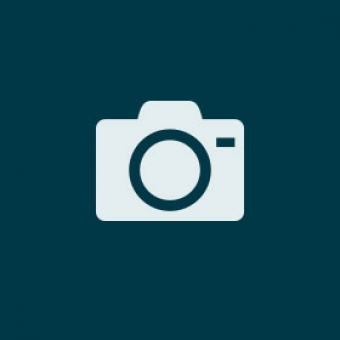 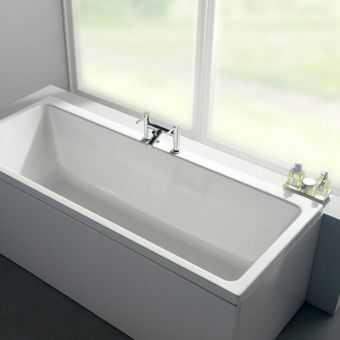 Its unique shape is eye-catching, and pairs well with both modern and classic design styles. 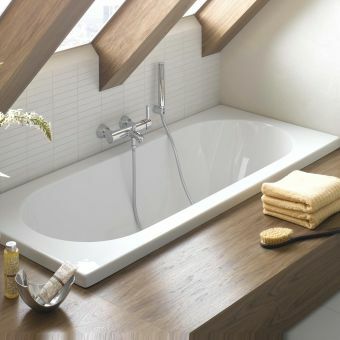 This bath is available in either standard 5 mm finish or Carronite finish. 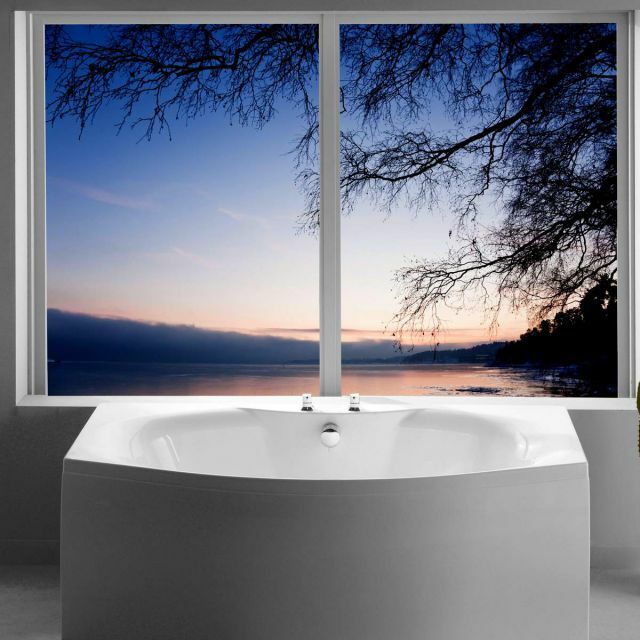 Carronite is a world-renowned technology that provides double the durability and strength of a traditional acrylic tub. 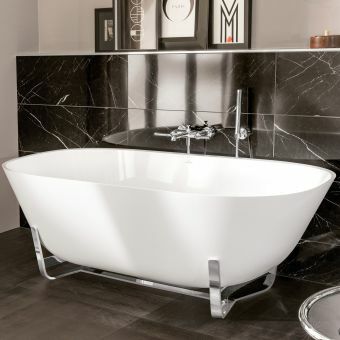 Water stays warm with this finish, even longer than cast iron or steel baths. 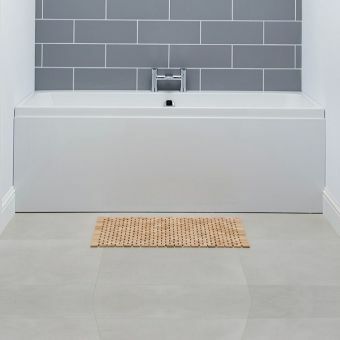 There is plenty of space in the 1800 mm long bath, which means taller bathers won't have to crouch to fit. 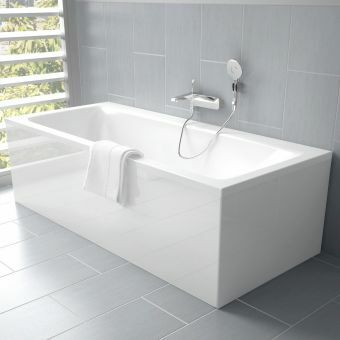 The central drain allows customers to place the hardware in the middle of the tub, which means the tap won't be in the way. 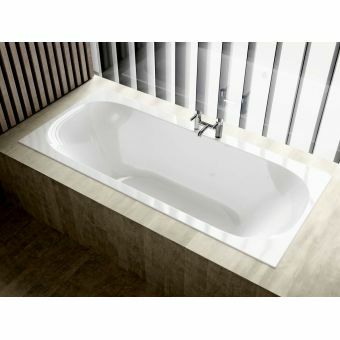 With a capacity up to 330 litres, this bath offers the ultimate in comfort.